WHAT IS A PRO-SHOP PACKAGE? 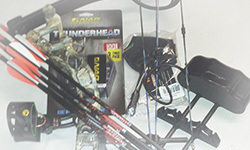 Our pro-shop packages are very different from the compound bow "kits" or "outfitter” bows you see in the big-box stores. 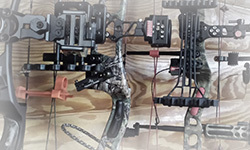 Our compound bow packages are COMPLETE FIELD-READY bowhunting systems which have been professionally prepared, adjusted, tested, tuned, and pre-sighted in our pro-shop by an actual technician. It’s not a gimmick or a pre-boxed solution. When we say a bow is ready-to-shoot, it’s because our technicians have actually set the bow up and shot it, by hand. We've really tuned it. We've even chronographed it. It's ready for action! Our pro-shop packages do not require additional parts or assembly. They’re ready to use immediately. When you pull your new bow from its bowcase, it’s ready to fire. We really mean it. Our pro-shop compound bow systems come READY AND LOADED with everything: bow, sight, rest, quiver, stabilizer, sling, case, custom arrows, broadheads, mechanical release, peep sight, nock set, and more! Every service has been performed – every technical issue handled. All you have to do is finish sighting in. If you're new to the sport - don't worry. Our Getting Started Guide will walk you through the entire process, from basic grip and stance, to setting your long distance pins and developing repeatable shooting form. Take your time - enjoy the process - and you'll do just fine. IS THIS CALLED A “READY-TO-HUNT” BOW PACKAGE? Yes – it was. We created the “Ready-to-Hunt” bow package program nearly fifteen years ago. The phrase was our unique calling card for many years. Unfortunately, the term has been slowly co-opted across the industry, mostly by the big bow companies. 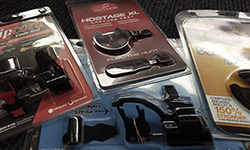 Today, there are many basic “kit” and “outfitter” bows which are being marketed as “Ready-to-Hunt” bows. Laughably, a factory-boxed compound bow is anything but “ready”, unless you just mean ready to sell. That's what the co-opting has been about. The archery market is increasingly driven by big-box store demand, and archery manufacturers have been under increasing pressure to provide pre-boxed solutions to the mass merchants. So a number of compound bows, particularly entry-level bows, are now packaged with cheap bolted-on parts and a handful of arrows so they can be advertised as “Ready-to-Hunt” and sold at the mass merchants as turnkey bowhunting solutions (which they are certainly not). It’s an unfortunate dupe to consumers and a sad evolution for our industry, but that’s the reality of big business. Despite our affinity and nostalgia for the term "Ready-to-Hunt", it has now become diluted beyond its usefulness at Hunter's Friend. As of 2017, we have retired the term. We are now describing our full-service package deals as “Pro-Shop Packages.” We’ll see how long it takes them to co-opt this term. Of course, we're still providing the same pro-shop services we always have. Nothing has changed here except the logo. WHY WE DO IT THIS WAY & WHY OTHERS DON’T: We're an Archery Pro-Shop. We're not a big-box store or a warehouse order-center. Our strength is craftsmanship and service, not mass-merchandising. So selling our equipment based-on a model of service makes perfect sense for us. Our crew starts building bows and fletching arrows at 6:30 every morning, so it's no particular chore for us to setup, test, tune, and sight-in a bow for our customers. That's what we do. We love it! In fact, archery is pretty much ALL we do. We don't sell trolling-motors, kayaks, or golf bags - and our showroom doesn't even have a fish tank. Of course, selling bows this way is a lot of work, and it takes a considerable commitment of resources (facilities, tooling, personnel, etc.). Most online archery resellers would run screaming from our business model. In fact, most online resellers deliberately avoid providing pro-shop services and prefer the "touchless" method of archery retail. Customers simply get whatever's in the box and everyone just hopes for the best. 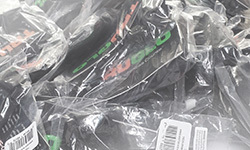 Some archery resellers even rely on the drop-ship method - where a factory or distribution center ships parts to customers on the seller's behalf. The "store" never even sees the parts they sell. Perhaps there's a quick buck to be made that way, but that's just not our style. Call us old-fashioned if you like, but we like working with the equipment. And if that means we never get to be an eBay Power Seller ... well, we'll just have to risk it. ARE BOWS BUILT-TO-ORDER FOR EACH INDIVIDUAL CUSTOMER? Yes! That's the only way we do it. 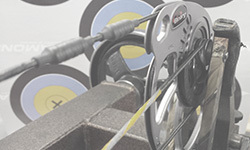 Our pro-shop builds a bow system FOR YOU - to your specifications, sizes, and preferences. We don't make any assemblies ahead of time and we don’t trust any spec until we verify it ourselves. So every order is a custom job. If you're an experienced bowhunter and you already know your sizes and preferences, just tell us what you like and we'll get right to work. If you're new to bowhunting and you need some help sizing and choosing options, we'll walk you through the process step-by-step. 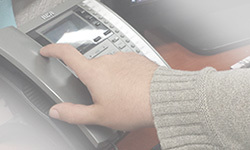 A good portion of our program focuses on educating and empowering customers to make good equipment choices. So don't worry. We've outfitted tens of thousands of new bowhunters over the years, and we'll take the time to make sure YOUR rig is done right. 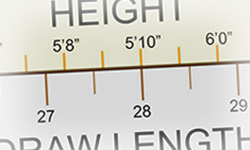 PROFESSIONAL HELP ALONG THE WAY: While you shop our website, you're sure to notice that every bow package includes easy to follow help sections, measurement guides and technical advice. We won't leave you to wade through all that industry jargon alone and we NEVER try to make newcomers feel foolish (for some reason, many pro-shops do). We want you to feel good about what you’re buying and we want you to understand what’s important and what not to sweat about. We can help. If you like the online guides, please utilize them. But we have actual people here if you would rather talk it over with a live person. Just give our help desk a call at 877-410-7811 and we'll cover the bases the old-fashioned way. Either way, it's our job to make sure you pick-out the right gear for your purpose, budget, and experience level. We want you to be drilling the X on the very first day. We’ll help you begin with smart choices and provide the support you need to be successful. It’s what we do. OUR PRO-SHOP GETS TO WORK: Once you've decided on a rig - it's time for us to get to work. 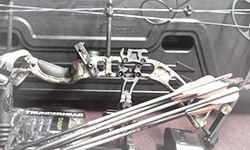 We begin with the bare-bow, adjusting your bow to the precise draw weight, draw length, and let-off settings you select. We check every bow for proper cam timing/synchronization and correct the common factory oversights (draw length errors, cam lean, sloppy axle spacers, untidy servings, etc.). 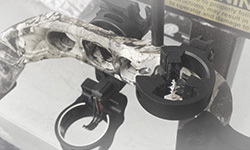 We then professionally install all of your accessories, string inclusions, and additional devices. 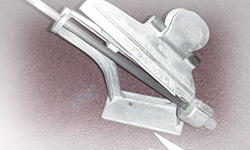 Our shop is equipped with modern finger-style bow presses to handle today's parallel- (and beyond parallel) style bows. We also use all digital weight scales and Easton's Digital Bow Force Mapping System to ensure accurate chronograph readings. 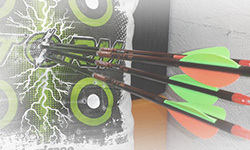 BASE ARROW FLIGHT: Every bow package comes with arrows, but we don't use off-the-shelf machine fletch arrows ... EVER. Frankly, they aren't good enough. Instead, we hand build custom arrows specifically to work with your particular bow - matching the arrow spine, weight, length, and FOC to the output characteristics of your bow. Once the arrows are complete and our initial parts assembly process is finished, the bow is pre-cycled for string stretch, and then moved into our "shooting-tunnel" where we conduct our basic paper-tuning processes to examine base arrow flight and chronograph test the rig. Most pro-shops stop right here, "relative tune," but this procedure only gets us started. GROUP TUNING/RANGE TESTING: Once we have the bow in relative tune and tearing a clean bullet-hole through paper, we then range-test (group-tune) every Pro-Shop bow for accuracy and make minor adjustments as necessary until every arrow is flying laser-beam true and the arrows are landing in a tight repeatable pattern. We test-shoot every compound bow, literally dozens of times, until we're satisfied that the bow is performing properly. This procedure also gives us an opportunity to debug any noise problems, peep or string issues, fletching contact problems, etc. Some rigs tune-up quickly and easily, others don't. That's why every bow is a special case that gets hands-on attention from a single technician (no assembly line system here). The technician doesn’t stop until everything is right. If he's not happy, we know you won't be happy. PRE-SIGHTING THE TOP PIN: Once the bow is grouping arrows together properly, it’s time to get those groups on target. Your technician rough-sets your top sight-pin for a 20 yard shot. Again, this process is done by hand on our archery range. We shoot – adjust – shoot again – and so on, until it’s zeroed in at 20. Of course, every shooter is a little different – two people seldom shoot a bow exactly the same. Nevertheless, this process ensures your very first shots are likely to be within a few inches of the bullseye, and then the fine pin-settings will be up to you (clear how-to instructions are in the red booklet). Our process puts you comfortably "on the paper," so you don't have to start sighting-in from scratch and flailing arrows into the dirt. We’ll get you really close - right from the first shot. You certainly won’t get that from a big-box bow package. 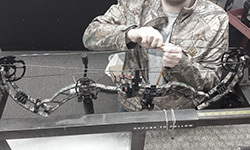 SPEC'ING THE COMPOUND BOW SYSTEM: When performance testing and pre-sighting processes are complete, we prepare a comprehensive report for you. We weigh and spec’ the custom arrows and compute the actual kinetic energy output of the bow system (raw chronograph data is included as well). 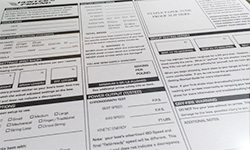 We even document the bow's final settings, key specifications and serial numbers. We keep a copy of the report on file here and we send the original to you with your bow. We even attach the physical paper-tuning proof. Every Pro-Shop package we prepare gets this unique Shop Order Assembly & Test Report - literally the bow's individual report card. We suggest you keep this report for future reference and for insurance purposes. REAL PEOPLE ON QUALITY CONTROL: We know it’s the little things that can make or break a customer’s experience. So a second (and third) set of eyes goes through everything again – just to be sure. We don’t just “spot-check.” When our setup process is complete, the technician submits the bow package to the QC inspector for check-off. Everything gets double checked, including fastener torques and critical clearances. Peep rotation gets another look, as does the pre-sighting work, the tuning proof and the overall performance of the entire rig. Once the bow setup clears inspection, it finally moves on to packing where the settings, specs, and accessory inclusions are checked one final time. Then the finished bow, arrows, and all loose components are loaded into your bow case to ensure safe transport to your door. Finished bow orders are typically shipped via FedEx Ground to locations in the lower 48 states (free). We also ship worldwide via USPS Airmail and FedEx International Express. 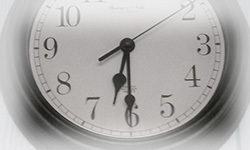 Please email our sales department for other destination rates and international ordering details. OUR BOW PACKAGES ACTUALLY COST LESS: In addition to providing us a more comprehensive product to sell to our customers, the popularity of our Pro-Shop package concept has yielded an unexpected benefit. Over the years, our bow packages have become more and more affordable. As our bow package program has grown, we've been able to make special arrangements with a number of manufacturers to purchase popular parts as bulk/OEM shipments, in order to lower the per-unit cost of the package components. Our bow packages include dozens of separate parts, so saving a few dollars here and a few dollars there really ads up at the end. In most cases, we can offer a full Pro-Shop package, fully outfitted with some of the best accessories on the market, at a retail price that's 10-30% less than the price of those individual parts purchased separately. TARGETED BUYING STRATEGY: You may notice that many of our bow packages feature some of the same parts and accessory choices (Whisker Biscuit Rests, TruFire Releases, Easton Arrows, NAP Broadheads, Plano Bow Cases, etc.). This isn't by accident. We know that quality is important. So we select these parts carefully to ensure our bow packages are outfitted with reliable components that will perform well in the field. But we also know that price is important too. What good is an awesome bow setup that nobody can afford? So we employ a targeted buying strategy, where we focus on a few selected product lines, rather than trying to offer a miscellaneous smattering of parts from all over the market. This allows us to purchase key items in larger bulk quantities - at a much better per-unit price. PASSING ALONG THE BENEFITS: While it may sound cliché, we really do pass those savings along to our compound bow package customers. We must. We can't hoard those savings all for ourselves - that's not how this pricing philosophy works. We need the unit volume to leverage the bulk pricing and special parts deals. So basically ... if we get it cheaper - you get it cheaper. Ultimately, when you compare bottom lines, the retail price of a Pro-Shop package is often well under a local dealer's wholesale cost for the same list of components, and considerably less than you could buy those same parts from a famed big-box store. GOOD SERVICE AND A FAIR DEAL: You really don't have to choose between getting good technical service and getting a fair deal. You can get them both with a Pro-Shop bow package from Hunter's Friend. We've worked hard to bridge the gap between the local and mail-order concepts. We don't sell bows like most internet suppliers. Less than 2% of the bows we sell are bare bows. 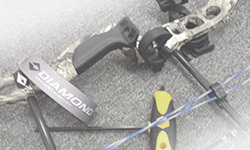 Just over 98% of our compound bow business is generated through our Pro-Shop package program, where every bow, and its new owner, get the service they deserve. We would love a chance to prove it to you.